Sometimes, I really wonder how the looks of the people gets change in just couple of time. Whether he/she is a child or an adult, every person wants to look good. But actually what brings changes in them? Its “FASHION”. It really works out and shows something different from the casual appearance. Jewelry, specifically vintage Costume Jewelry and beautiful Fashion Jewelry, plays the major role in this fashion category. There is a popular style in clothing, make-up, footwear, accessories which makes sense of TREND. In earlier centuries, people were not aware of that fashion, though the queens of the kingdoms used to wear ornaments like gold, silver, etc. but nowadays, people are wearing artificial jewelry which goes with the color of their dresses. They keep their gold jewelry as assets and use artificial instead. In this modern period, people are more choosy, they always want something new and wants to look the best. So, in that terms Costume and Fashion Jewelry is being revised and upgraded. Jewelry is kind of small decorative item; it may be attached to the body or the clothes. People wear different types of dresses like Indian, western, etc. and today there is a huge collection of designer jewelry for every kind of dress. Jewelry is like something which makes the overall attire complete. Jewelry doesn’t mean- 'The Expenses', it really means to decorate a particular thing with relevant ornaments. 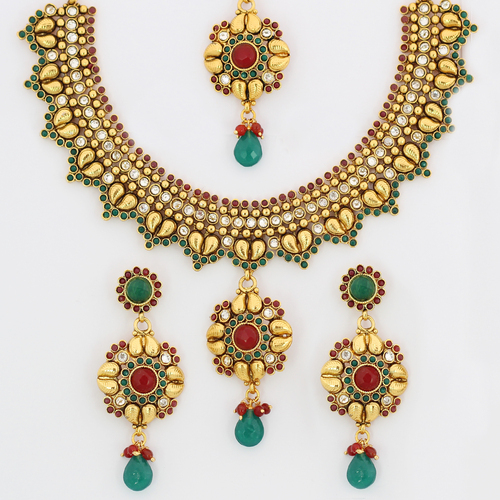 The people of South-India prefer to wear Gold jewelry, as this is the Trend in those states. But, with the western fashion trends affecting the Indian styles, a new range of artificial jewelry cam into existence. Today, you can find numerous styles and designs of fashion and costume jewelry in the market. COSTUME JEWELRY : It is basically related to the fashionable garments known as outfits. 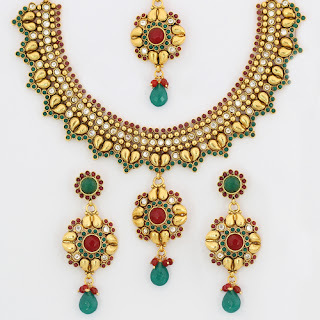 This type of jewelery is designed for a particular style of clothing worn by the people at social events like fancy dress party, theater performance, etc. Their are multiple designs, which are created as per the role, age, & gender, which helps to reflect the character. It is not important that such type of ornaments are for some special roles only, it is also used as daily wear, casual wear, etc. FASHION JEWELRY : It is often used to complete the outfit, making you look more attractive and elegant. It includes bracelets, brooches, earrings, necklaces, pendants etc. You can purchase the best ones which suits your clothing, footwear, makeup, and accessories like belts, ties, watches, scarfs, hats, etc. This jewelry is not only opted for the compliments, but also to grace the looks. People believe that if a person is fashionable he/she is modern. The fashion jewelry is not only for feminine but also for masculine. These jewelry items are being updated by the designers, who are much aware of the new designing concepts, through their study in the fashion industry. Just as a decorative material these ornaments are being used in daily life also. As everyone wants to look younger of their age, it is enough to state the value of Fashion and Updates with the ongoing Trends.